Home » Blog » Musings of my first JR cycling trip. 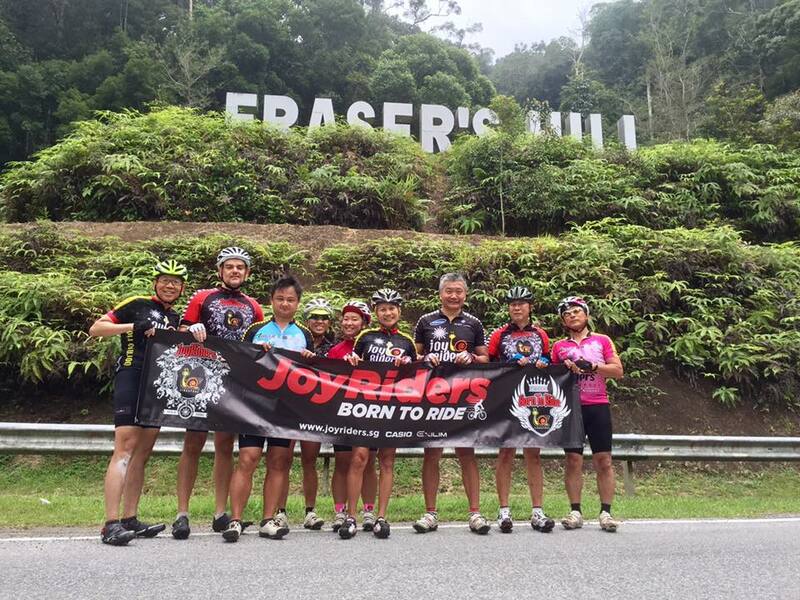 Fraser’s Hill 18-20 August 2017. I’m not great at “suffering based” sports. I bonk at the slightest opportunity. Since my return to cycling in February this year after a 7 year break, I’ve bonked at least 6 times. Void of glycogen, my body would cease up and the legs could barely turn the crank arm, and demons begin to take over the mind. I had absolutely no doubt that I’ll bonk at some point during this trip. As a defence, I brought with me Energy Gels, a bagful of Dates and M&Ms. It worked and I was able to keep my energy level at least at a functional level. In short No Bonk for this trip. I was a staunch believer in high protein/low carb diets. But if you want to cycle between 3-8 hours, just carb up and bring nutrition along with you on your rides. There are people that are strong on the bike but within this respected group, there are a few “climbers”. I identified a few early on and tried to observe them as much as possible and learnt a few things. Even on a friendly group ride, there are no pelotons up on the hills. On the uphill, you have to go at the speed that your legs allow. It’s a long lonely ride up and you’ll have to love the solitude and the contemplation of how you’ll reward yourself after the ride. Everywhere Joyce goes, business owners extend their warm welcome to Joyce and her group. They can’t even take money from us and they charge us ridiculously low prices for the food that we eat. I have a small sense of what Joyce did in her youth but unknown to me, she must have touched many lives in one way or another. They love her. You don’t need a lot of money for these trips, just a lot of grit and spare tubes if Bertram Lee is coming along. The best downhill riders are usually the “carefree” type. The analytical “thinkers” are usually average at best. We should have some seasoned cyclists teach the group about “racing” lines so that downhills can be faster but less dangerous. I had a puncture on my tubular tyres on day one and was saved by Vittoria Pit Stop sealant. I was fortunate to find a tyre shop to get my tyre replaced or my trip ends there. It’s going to be clinchers for my future trips. After a short break after reaching the top of Fraser Hills on Day 2, Joyce went to use the toilet about 100 metres away before we proceeded to ride downhill for 30km to lunch. After lunch when we headed back the same route, we already had 50km of climbing in the legs and have another 30km more to go before reaching the top. It was a hard climb back. As I lost track of the distance to go before the top, I cannot express my joy when I finally saw Joyce’s toilet. 100 metres more and that’s it. Coke never tasted better than at the top of Fraser’s Hill. Until this trip, I’ve never ridden more than 105km. The 155km I did on day 2 warranted a small celebration at the ice-cream shop. The ice-cream and the company of those that came along was perfect on that day. Overhead someone complaining being told off by a lady rider to go away because he was riding too close to her. This story has a good end because both had a good laugh over it after the event. I’m sure each of us brought back personal memories from this trip. It’s never going to be perfect. There will be things that irritate each of us in one way or another. It’s going to be too hot at times, the road is going to be too bumpy, the Singapore immigration is unlikely to ever make your trip north completely seamless. However, I guarantee that on trips like this, we will learn something about ourselves. We will challenge ourselves in a relatively safe environment. We will make new friends that are different and yet the same because we all share the love of the same sport. There will be plenty of forgettable weekends in our lives but Not this weekend. Hello Aprilia, thanks for your interest in Joyriders! We are a Singapore based amateur cycling group. 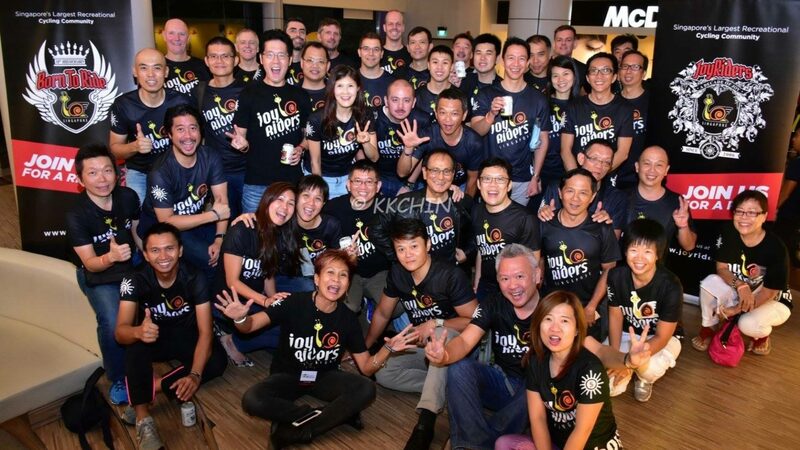 Are you based in Singapore? We’d love you to join us in our regular rides, as well on cycling trips like this one. Can I ask you to use the “Contact Us” button on the web site, and give us a little information. Our founder Joyce will contact you once you send the details. thanks! how to join this team? can i join this team?